tapteil, n. a. Yakama, narrow river, b. 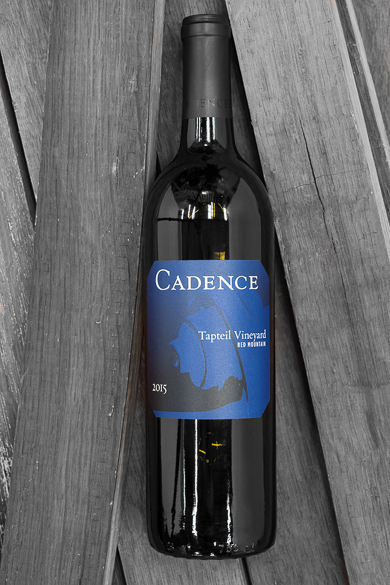 Red Mountain vineyard named for its site above the Yakima River where the Tapteilmin lived, c. Cadence blend of Cabernet Sauvignon, Merlot and Cabernet Franc grown on Tapteil Vineyard. Brooding black cherry and blackberry set the aromatic stage for this muscular wine. The palate is tightly wound, hinting at plums, cherries and dark berries bolted to a serious framework of tannins and acidity. This needs time in the glass or decanter, but promises to be a stunningly deep, complex edition of Tapteil for the ages..